Charities are a big part of my life. At a local level I like to support Christian youth work and charities which help people and families affected by disability. At an international level I like to support charities and projects which help children born into poverty or children for whom life is a struggle. There are so many good charities I find it impossible to limit my support to just one or two. I know the people who run the charities and projects I support so I know the money will be put to good use. Leaving Uphall at 6am I should reach the Forth Bridge (10 miles) by 9.20am, via Kirkliston and Dalmeny. Over the Forth Bridge then following the Fife Coastal Path from Inverkeithing through Dalgety Bay, Aberdour, Burntisland, Kinghorn, reaching Kirkcaldy around 3pm (26.5 miles). On to East Wemyss, Buckhaven, Methil, Leven and reaching Lundin Links (39 miles) by 7.30pm. Then from Lower Largo leaving the Coastal Path taking the A915 arriving in St Andrews around midnight, where my daughter Patricia will fetch me home. Stand by Me rescue children then do whatever it takes to provide the care, love and attention they need to thrive. Shan State lies in the west of Burma. It is troubled by war, conflict, persecution, poverty and the trafficking of children. To meet the needs of many orphaned and abandoned children living with no means of support, Stand by Me is building two children’s homes providing love, care and a family for vulnerable children. I made it to St Andrews on Saturday. The Fife Coastal Path from North Queensferry to Kirkcaldy was scenic but slow going and when I got to Kirkcaldy I was 3 hours behind schedule and feeling very despondent. However once I got onto roads I speeded up. My mobile phone went to low battery but I managed to charge it up in a pub in Coaltown of Wemyss and they gave me a free coffee and a guy at the bar sponsored me. My daughter’s boyfriend had agreed to fetch me home at midnight; amazingly he was willing to pick me up at 3am, I was so grateful to him. He took my 10kg rucksack off me and I was able to do the last 4 miles in an hour, admittedly downhill. I walked for 21 hours 15 mins, I got to bed at 6am. Thank you for your generous support! 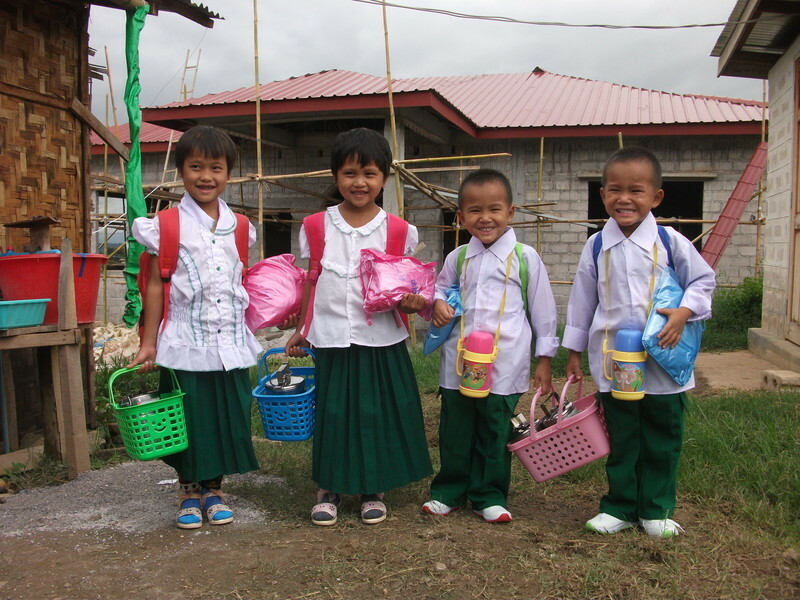 Your kindness is helping to provide vulnerable children in Shan State Burma with a loving home and care to meet their individual needs.